Edmonton's Chinatown was established more than 100 years ago near Jasper Avenue and 97 Street in the community of Boyle Street. Over time, businesses started establishing further north along 97 Street and a concentration of commercial ethnic shopping districts emerged. This gave way to the emergence of two separate and distinct areas identifying as Chinatown Edmonton today. As growth patterns have changed, Chinatown has faced challenges maintaining two physically separated areas, responding to shifting economic and population trends, and increased building and land vacancies, resulting in the need for an overall integrated Chinatown strategy. 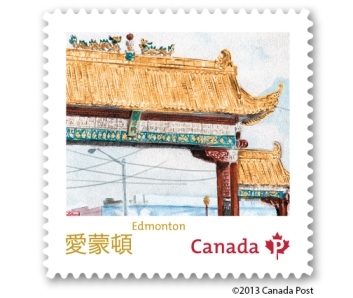 In recognition of this, the City of Edmonton proceeded with the development of a study in order to realize opportunities for a sustainable and vibrant Chinatown. The Chinatown Project aims to preserve Chinatown's unique heritage while bringing new life to the community.